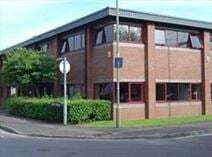 A flexible range of offices in a pleasant business centre in the Summertown district of Oxford. The office space can accommodate a variety of different size requirements and are all finished to a modern spec with common areas, staffed reception and meeting rooms. The location offers a short bus journey into the city as well as a thriving local scene for socialising, eating, drinking and shopping. Located in an area of high pedestrian numbers, this city centre office building provides modern accommodation in a variety of sizes. The offices are fully furnished, enjoy high-tech IT and telecoms connectivity and are excellently placed for all the shops, amenities and services of the city centre. As you would expect, the location provides great bus and rail connections for local and national journeys. This impressive building, recently refurbished to a high standard, offers first-class offices located on different floors. These offices benefit from lounge area, meeting rooms, conference facilities, parking facilities and professional customer and support services. The building is situated within a small business area just off Oxford's city centre and enjoys direct access to the motorway network. On East Point Business Park, this office building provides office accommodation with a range of services optional for tenants. The business park is close to Oxford city centre and is connected by the A4142 for the A40 and A34. The offices can supply reception and mail room services, as well as meeting accommodation and catering. Located close to the centre are a Tesco Supermarket and a handily placed post office. This fabulous co-working office space is the ideal work space for start-ups, freelancers and entrepreneurs. It offers a vibrant place to work with many social areas and meeting rooms. There is plenty of opportunity to network with other like-minded individuals. Located in a vibrant area, there are plenty of coffee shops, restaurants and bars located in close proximity to the work space. Oxford Train Station is just 1.9 miles from the office space. A mix of open-plan and modular office space is available in these two modern buildings. Furniture and cabling can be installed if required. The centre is located in a pleasantly landscaped business park and offers quick access to the A34 and M40, as well as public transport links. This friendly and informal business centre provides a suite of nine modern offices near the centre of Oxford in one of the city's most vibrant areas. There is no lock in period with a monthly license arrangement. Oxford is a fantastic city with a range of amenities and attractions, including Oxford Castle, and some excellent places to eat and drink, such as Wagamama and All Bar One. Coffee shops are plentiful for the morning caffeine hit, and include Pret A Manger. Located less than two miles from Oxford City Centre, this centre has been refurbished to a very high standard, offering a fantastic base for your business. Oxford Railway Station can be accessed easily and from here there are services to London Paddington and Marylebone, as well as Birmingham. In addition, there are several local bus stops, and road access to the A34 and A40, which is great for commuters. This centre offers 9,000 sq ft of adaptable office space in a renovated building, located centrally within Oxford, ideal for new and expanding companies. Conference facilities are available and the centre also offers virtual office space. Located close to Oxford station, it is easily accessible. The centre is also close to plenty of local food and retail outlets, as well as attractions including Oxford Castle. This business address is situated close to Oxfords primary business and retail centre, as well as the citys many colleges and institutes. 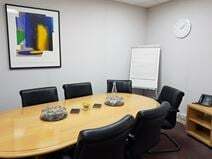 Easily accessible by bus and rail, this property has been completely refurbished to provide high quality serviced offices along with a range of facilities, which include; printing and copying facilities, a kitchen, meeting rooms, IT support, a management team, parking and office cleaning. A selection of offices is available to let just off Oxford. Available at flexible rental terms, these office spaces in various sizes are flexible and can be tailored to suit your requirements. They offer a highly professional environment, equipped with a full range of facilities and services: air-conditioning, CCTV monitoring, 24/7 access, car parking, meeting rooms, advanced videoconferencing facilities, cyber café and support services to assist your business in your daily activity. Located just a few minutes’ away from the railway station and served by numerous public transport routes, these offices are well connected to London, Heathrow and Gatwick Airports and the motorway network. Located in a sought-after business park setting, this centre has been recently refurbished to provide a range of high-tech serviced office solutions. Stylish décor, ample parking and a great range of amenities nearby make this a practical and prestigious solution for your business. There are amenities nearby including hotel and restaurant/pub, shopping outlets including some well-known brands, and various placers to park. Based just outside of Oxford and opening in Spring 2019, this centre promises to deliver high quality office, conference and meeting facilities for young science and technology companies. Space ranges from 4-person offices up to 22-person. The centre has flexible terms, a great onsite management team and an impressive 120 person auditorium. The centre is around a 14-minute drive from Oxford city centre, and around 20-minutes from Oxford station. Stylish office spaces are available to let in this landmark building, set within a renowned and attractive business district in Oxford. First-class meeting and conference facilities and state-of-the-art technology make these offices highly efficient and ideal to run a successful business. Close to the ring road and just a few minutes’ away from the city centre, they are well served by public transport and well connected to the motorway. Located in a newly renovated wing of the Town Hall this centre provides flexible serviced offices that suit one to 15 people. 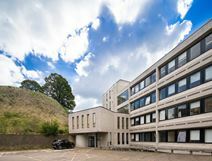 The building provides light and airy spaces with great views over Oxford , 24-hour access and is only minutes from Oxford Train Station, where there are frequent, fast services into London. In the area, there are a number of bars and restaurants, perfect for the post-work meal or drinks. 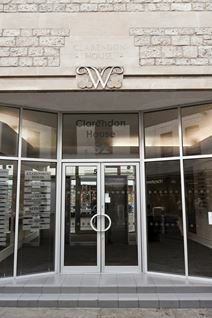 Situated in the university district of Oxford, this period building houses fully furnished contemporary offices. The office accommodation comes with a staffed reception, the availability meeting rooms and parking. The location offers a great selection of food, drink and cultural outlets, as well as the convenience of proximity to public transport routes for local and national travel, perfect for any meetings further afield.